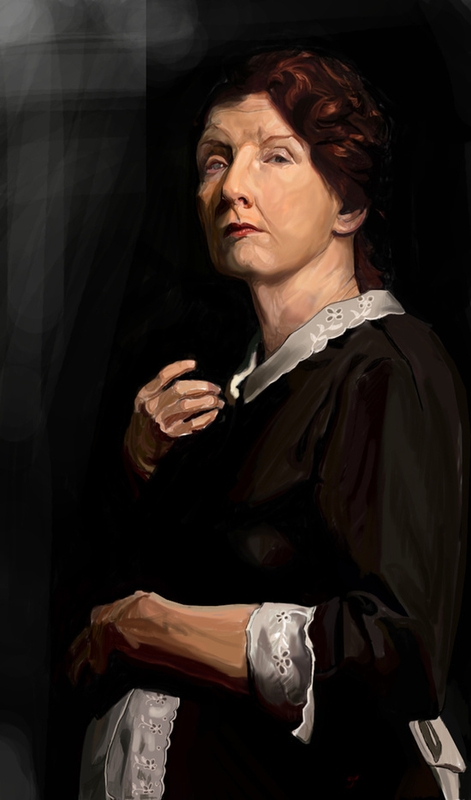 A painting of Old Moira, a character in American Horror Story: Murder House. 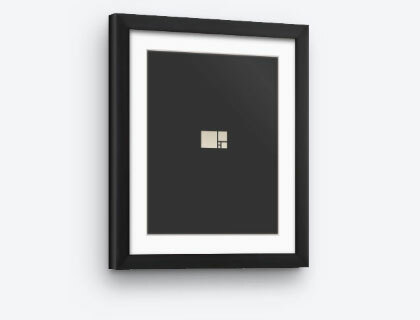 Select Print Size: 12.0" x 18.0" 15.0" x 23.0"
It is claimed that to women she appears as an elderly lady with one working eye (the other is gray and clouded) and a sensible uniform dress but to men she appears as a beautiful, unscathed young woman with a short skirt and stockings. According to Moira, this is because women's intuition gives them insight on the true nature of people, whereas men see only what they desire - however, if the man can resist the compulsion to see her as a sexual object, they too will see her as who she is.